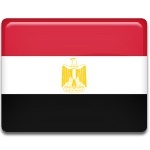 The Egyptians celebrate Victory Day on December 23. This is not a public holiday, however, it's a very important date for the nation. This holiday marks the end of the Suez Crisis and liberation of Port Said. The Suez Crisis began on October 29, 1956. The conflict was based on the issues of the Suez Canal status determination. The situation became tenser when Israel, France and Great Britain united against Egypt. The British and French paratroopers landed in Port Said on November 5 and occupied it. The next day the Royal Marines come ashore at Port Said, thus enforcing the British and French administration. Due to political and economic pressures Britain had to cease fire on November 6, warning neither France nor Israel beforehand. Britain and France started withdrawing the troops from Port Said in December. The last soldier left the city on December 23. This day is considered to be the day of liberation of Port Said from the French and British occupation and its anniversary is celebrated as Victory Day.